Attribute reduction plays a vital role in many areas of data mining and knowledge discovery. In the real world, several data sets may vary dynamically and many incremental reduction algorithms have been proposed to update reduct. Further improvement of the performance of the incremental reduction approach is an important task that can help to increase the efficiency of knowledge discovery in dynamic data systems. 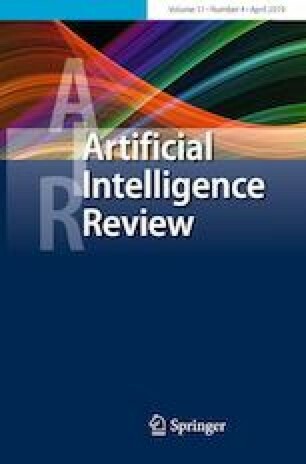 This paper researches incremental reduction algorithms via an acceleration strategy to compute new reduct based on conflict region. We firstly introduce the concepts and propositions of the conflict region and give a static reduction algorithm based on the conflict region. Consequently, incremental mechanisms based on the conflict region and an acceleration strategy for reduction are discussed. Then, two incremental reduction algorithms for updating new reduct when one single object and multi-objects are added to decision systems are developed. Finally, experiments on different data sets from UCI show the effectiveness and efficiency of the proposed algorithms in decision systems with the addition of objects. Research on this work is partially supported by the grants from the National Science Foundation of China (Nos. 51307011, 61402005), by the funds from Anhui Provincial Natural Science Foundation (Nos. 1508085MF126, 1508085MF127), by the fund from Anhui Education Natural Science Foundation (No. KJ2013A015), by the fund from Outstanding young talent foundation of Chuzhou University (No. 2013RC03), and by the fund from Initial Scientific Research of Chuzhou University (No. 2016qd07).